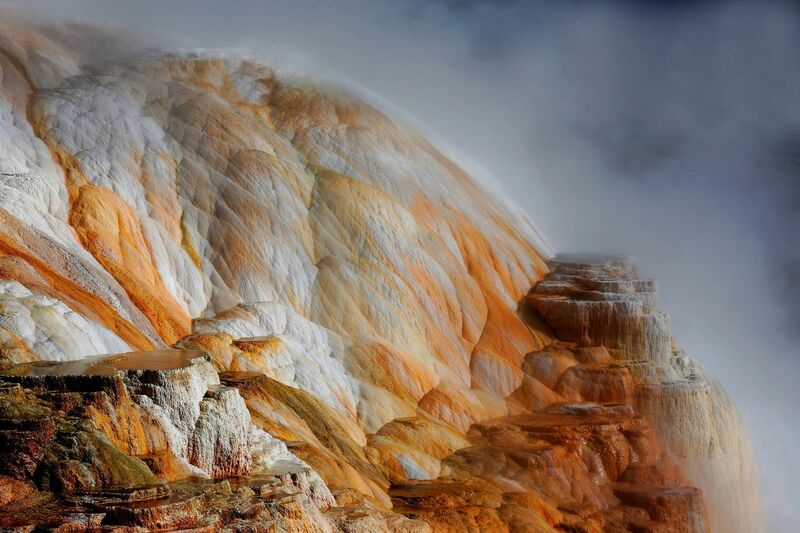 Minerva Terrace, Mammoth Hot Springs, Yellowstone is a ‘Cascade of Colour’ that you can’t appreciate unless you visit this astonishing area. Reds, oranges, greens and browns are all there together with constant mists and steam giving this a magical appearance. Some of the springs can be seen from the road side but you must park and walk around the whole area which will give you many superb photographic images.